Make the most of the wet season rainfall. Witness majestic waterfalls including the King George Falls, and discover an incredible array of gorges, river systems, captivating wildlife and ancient rock art, only found in this remote Kimberley wilderness. 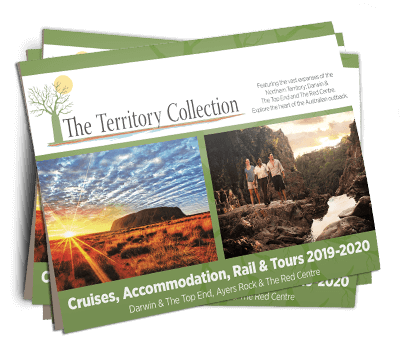 Your Northern Dream cruise includes a scenic helicopter flight over the spectacular Mitchell Falls as well as a light aircraft flight between Mitchell Plateau and Kununurra. A courtesy vehicle will pick you up from your Kununurra accommodation around 3pm and transfer you to MV Ocean Dream for a 4pm departure. Early morning, we cruise up the Berkeley River, one of the most beautiful rivers in the Kimberley. Take a tender excursion up the river and fish off the flat rocks for barramundi or walk to a fresh water pool. This is your last evening under the Kimberley skies as we cruise down the Cambridge Gulf, towards Wyndham. At high tide we cross the sandbars of the King George River, one of the great Kimberley icons with a dual waterfall that has a vertical drop of over 80m, making it one of the tallest waterfalls in Western Australia. The morning is spent exploring Doubtful Bay and the incredible spectacle of Montgomery Reef. Witness as 300 square kilometers of coral reef appears to rise out of the water on the falling tide, creating hundreds of cascading waterfalls as the water rushes of the reef. The reef attracts an abundance of marine life including turtles, manta rays, dugongs, dolphins, crabs and fish. In the afternoon we will put on our hiking boots for a moderate climb up to the Raft Point caves to explore a well-preserved collection of Wandjina rock art. Delicious canapes and drinks on the bow of Ocean Dream will top off an incredible day of adventure with a sunset you will never forget. For the enthusiasts fishing and mud crabbing is on offer at low ride and then after lunch we’ll indulge in a freshwater swim in Surveyors Pool. We’ll depart at sunset for Vansittart Bay. Pre/post cruise transfers between Kununurra accommodation and vessel.